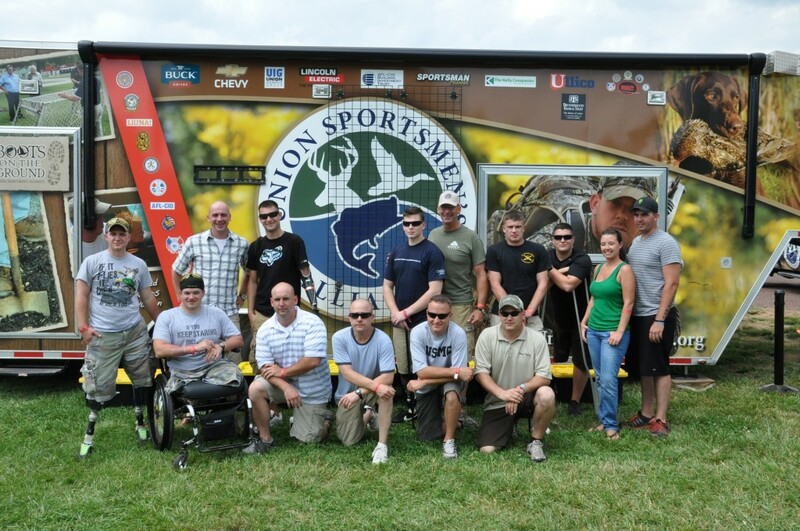 One year ago, the Union Sportsmen’s Alliance requested a company of troops from Walter Reed to participate in their annual Capital Area Sporting Clays Shoot. Freedom Alliance agreed to arrange it with the medical center, and the soldiers—not surprisingly—were game. The competition was a triumph for all involved. This year, Mike D’Oliveira, deputy director of the USA, once again invited Freedom Alliance to field three teams of five shooters. The USA, the AFL-CIO, and the Ironworkers Local #5 from Washington, D.C., offered to sponsor our troops from Walter Reed. News circulated among the veterans about the sensation of last year’s event, and our 15 slots filled up fast. It would seem that all soldiers like to shoot, and so most of the team members even brought their own shotguns to indulge in a hobby they used to enjoy before being in the hospital. Nine Marines, three soldiers, two parents, and a spouse met up at Pintail Point in Queenstown, Maryland, to register for the 20-station, 100-bird course. Many of the crew were no strangers to Freedom Alliance; five of the Marines had attended a recent event in May, one received a grant when Colonel North came to Walter Reed, and both parents remembered us from hospital visits. The teams got along like old friends by the time the tournament got underway. 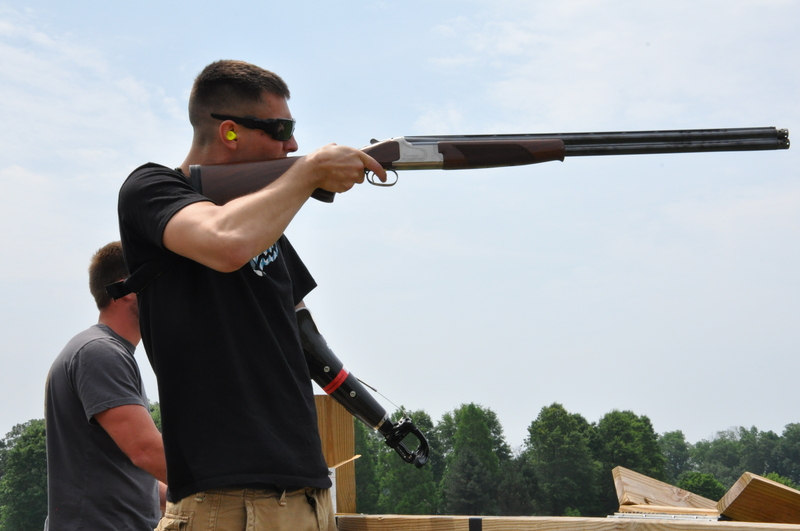 The event reached its crest as the group cheered Harry, a Marine from Illinois who lost his left arm while serving in Afghanistan, when he nailed a sporting clay with a direct hit. Harry was left-handed before the injury, but that didn’t prevent him from shooting with his right hand. He didn’t even use his prosthetic to assist his aim. After completing the course, the 250 participants gathered under a massive tent for the announcement of the prize raffle. Mike D’Oliveira thanked our troops for attending, which prompted a resounding round of acclamation as each union member came to their feet in an emotional tribute. The USA had collected about 100 items to give away, but the coveted prizes were the pistols and shotguns. Landon, a First Calvary liaison, had taken home a top-grade Berretta shotgun the year before and came back again for a chance to win. There was an all-around good-natured approval when another of our Marines walked away with a prize firearm.